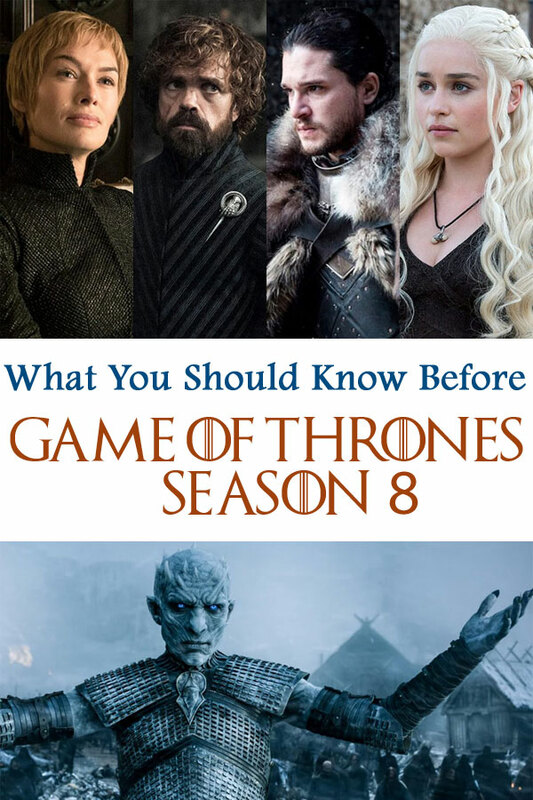 What do you need to know before Game of Thrones Season 8? Here’s a guide to get you up to speed before the final season begins. Spoilers ahead for all seasons! It’s been almost two years since Season 7 ended. Many fans have rewatched that season to refresh their memories. But there are several key details before Season 7 that you’ll want to remember before Season 8. 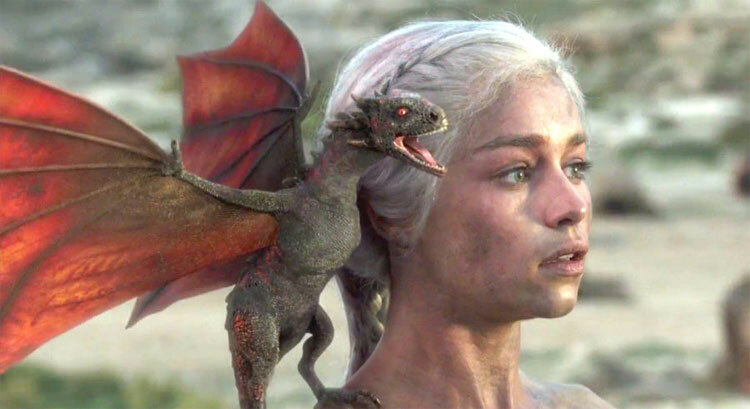 If you’re a super-fan of Game of Thrones, you’ve probably got all this committed to memory. But if you’re more of a casual fan – you love the show, but haven’t watched every season 4 times and don’t spend hours reading fan theories or analyzing the smallest details of the show – this post is for you. 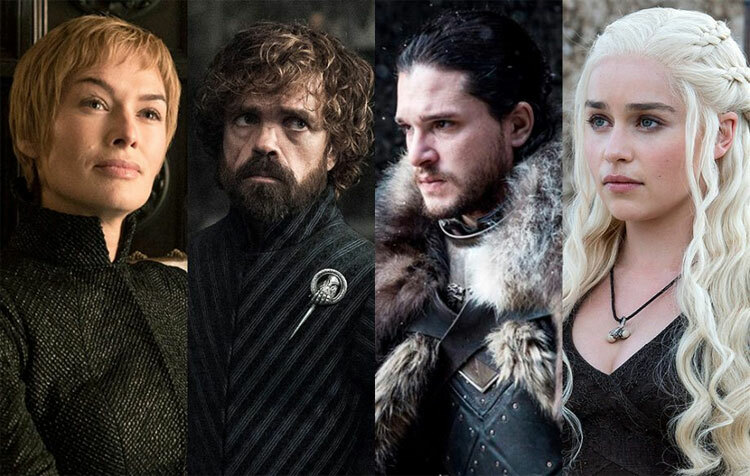 And if you want to start down a rabbit hole, check out this post of Game of Thrones theories that might blow your mind. When is the Season 8 premiere and how many episodes will there be? The final season of Game of Thrones will premier Sunday, April 14th at 9:00 pm ET on HBO. There will be six episodes. The first two episodes run 54 and 58 minutes respectively, with the remaining 4 episodes running about one hour and 20 minutes. Where did we leave all the major Game of Thrones characters? Jon Snow: Headed for Winterfell on a boat, in bed with Daenerys. Daenerys Targaryan: Headed for Winterfell on a boat, in bed with Jon. Tyrion Lannister: On that same boat, heading for Winterfell (surprisingly, in bed with no one). He is Hand of the Queen to Daenerys. Cersei & Jaime Lannister: Cersei, selfish as ever, declared she had no intention in helping fight against the White Walkers. She’s firmly planted in King’s Landing and allegedly pregnant. Jaime, however, is honoring his pledge to fight and is riding North. Sansa, Arya & Bran Stark: At Winterfell. Arya & Sansa finally hugged it out and killed Littlefinger. Bran is… well, being the Three-Eyed Raven and weirding everyone out. Theon, Yara & Euron Greyjoy: Yara was last seen imprisoned by Cersei in King’s Landing. Euron fled King’s landing after seeing the wight, but Cersei later implied he was going to Essos to gather an army on her behalf. We saw Theon finally man-up and mount an attempt to rescue Yara. Samwell Tarly, Gilly & Baby Sam: At Winterfell. Putting the pieces of the puzzle together with Bran. Brienne of Tarth: Last seen at King’s Landing as Sansa’s representative. Likely headed back North. Tormund & Beric: They were at Eastwatch when the White Walker dragon attacked the wall. Eagle-eyed fans saw them in a Season 8 trailer, so I believe they’re alive and probably heading for Winterfell. Ser Davos, Jorah, Varys, The Hound, Grey Worm, Missandei, Gendry: All headed to Winterfell. The Night King and White Walker Army: Last spotted destroying the Wall and the Night’s Watch. Related: Hardest Scenes to Watch in Game of Thrones. Season 8 of Game of Thrones will center around the fight between the people of Westeros and the undead. Most of the Kingdoms are joining forces to fight the White Walker army. The battle between them is said to be the most epic battle sequence EVER. We’ll also see the fallout of Jon Snow discovering who he really is, and find out who will ultimately win the Iron Throne – or maybe no one will! Expect a lot of death and a lot of surprises, as usual with Game of Thrones! Now, here’s what you need to know before you watch Season 8. Game of Thrones takes place on the mythical continent of Westeros. It’s often referred to as the “Seven Kingdoms,” but boundaries have changed over time and there are actually more than seven. All you really need to know are the following kingdoms and the cities and houses that rule them. The person who sits on the Iron Throne rules Westeros. Currently, it’s Cersei Lannister. But Daenerys Targaryan is on a quest to take it. She feels it is rightfully hers as a descendant of Aegon the Conqueror, the first king of the Targaryen dynasty, who established the Seven Kingdoms hundreds of years ago. Daenerys is Jon Snow’s aunt. Ned’s sister, Lyanna, secretly married Rhaegar Targaryian and died giving birth to his child. The Westeros world thought Lyanna was kidnapped by Rhaegar, since she was engaged to Robert Baratheon. On her deathbed, Lyanna begged Ned to keep her secret and raise her son as his own to protect the child from Robert. Jon Snow’s real name is Aegon Targaryen (just like the first king, years ago). Only three people currently know this fact: Bran (through a vision), and Sam and Gilly (who read it in a Septon’s journal). So Jon is the rightful heir to the Iron Throne. And he just slept with his Aunt Daenerys, who thinks she’s the heir. What the heck is a Three-Eyed Raven? In Season 1, Bran Stark accidentally saw Cersei and her brother Jaime getting it on in a tower. Jaime pushed Bran from the tower, intending to kill him. Bran survived, but was crippled. After his fall, he began to have recurring dreams of a three-eyed raven. Bran meets Jojen Reed who tells Bran he is a warg and can control the minds of animals. Together they discover Bran has other powers and they embark on a journey to find the three-eyed raven that Bran keeps dreaming about. Bran finds, trains with, and eventually becomes, the three-eyed raven, giving him the power to see the past, present and future. In a vision, Bran sees Lyanna telling her secret to Ned after Jon Snow’s birth. 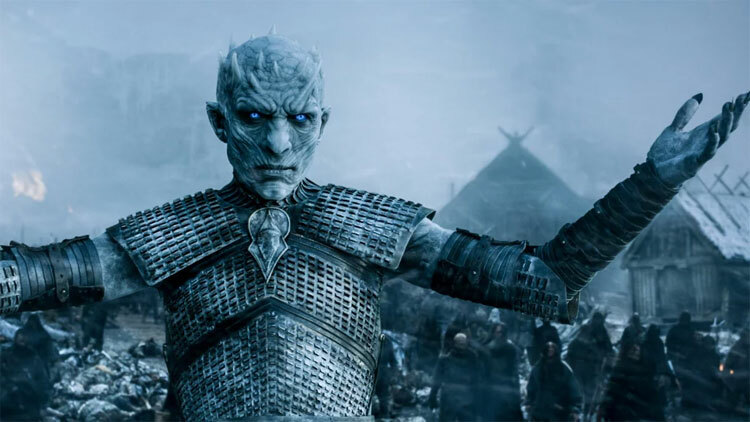 The Children of the Forest (the non-human race that originally inhabited Westeros) created the very first White Walker as a weapon to combat the first men to arrive on Westeros. He is now known as the Night King. They can be destroyed by dragonglass. Jon Snow went to Dragonstone, where there is lots of dragonglass, to mine and create weapons. The wights are kinda like zombies – they are created by the White Walkers and it seems that if you kill a Walker, all the wights created by the Walker also die. Animals can also be turned into wights (see below re: dragons). The Night King leads the Army of the Dead and seems to be on a mission to destroy all men. But their true goals are not yet clear. Daenerys took three dragon eggs, walked into the funeral pyre of her late husband, Khal Drogo, and emerged unburnt and with three baby dragons. She has raised them and they are her children. In Season 7, the Night King killed one dragon and it is now a part of the Army of the Dead. This dragon was instrumental in destroying the Wall and is clearly a pretty major threat. Arya trained with the Faceless Men for two seasons. She now has the ability to become someone else by “wearing their face” after they die. It’s creepy and awesome at the same time. I expect Arya to play a big part in Season 8. Sansa has been through hell. She’s gone from an innocent girl hoping for nothing more than to be a princess, to being abused, raped, married off to an older man, and now essentially ruling Winterfell while Jon Snow is recruiting an army to fight the Walkers. But Sansa feels like a loose cannon to me. We know she is not going to be happy with Daenerys’s arrival in Winterfell or Jon’s relationship with her. I’ve read some theories that she goes rogue and turns against her family. And that would not surprise me. Cersei agreed to help Jon and Daenerys fight against the Army of the Dead. But then went back on her word and told Jaime she’s staying in King’s Landing and mounting her own army (with the help of Euron Greyjoy). Only the Lord of Light can say what the heck Cersei will be up to this season, but we know she’ll be as selfish and stubborn as always. She claims to be pregnant by her brother Jaime, but I’m not sure she’s being honest. Jaime, who is usually squarely in Cersie’s court, has decided to leave King’s Landing and go North to help the fight, as he pledged. Will he finally come to his senses and see what a monster his sister is? See below re: Brienne. Then there’s Tyrion. He is the imp. The one who has had to deal with mockery and unjust treatment his whole life. But he’s a brilliant man and we all love to root for him. He is now Hand of the Queen to Daenerys and it feels like he’s found a good place in life. I hope he stays right there. Theon has also been through years of abuse at the hands of Ramsay Bolton. He hasn’t had a lot of courage and when his uncle Euron attacked their fleet and kidnapped his sister Yara. He did nothing. I think Theon will ultimately save Yara and perhaps they’ll fight with the North. Euron has it bad for Cersei, so he will likely help her fight to stay on the Iron Throne. Melisandre (aka The Red Woman) is one of the characters that confuses me the most in this show. She’s clearly got some magic – remember that she brought Jon Snow back to life when he died in Season 5? She also gave birth to some shadow-demon and predicted that Jon & Daenerys would come together. We haven’t seen much of her lately, but I think she still has a role to play. Don’t forget that when Brienne was delivering Jaime Lannister to King’s Landing in Season 2, they formed a kind of bond. There were definitely some sparks there. I have high hopes for that ‘ship. Though Tormund has his sights set on Brienne and I wouldn’t mind seeing them get together either. But these love interests really don’t matter. They’ll probably all die anyway. It might be worth your time to rewatch the first-ever episode of Game of Thrones. Rumor has it, the first episode of Game of Thrones Season 8 will show the arrival of Daenerys in Winterfell. 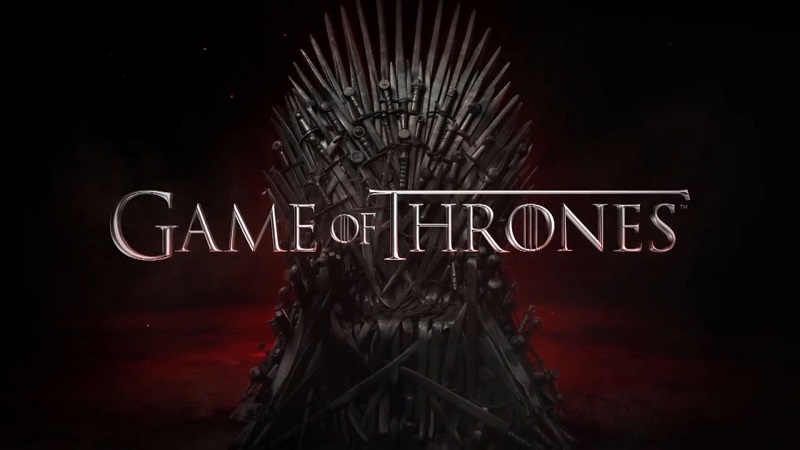 It will supposedly mirror the arrival of Robert Baratheon from Season 1, episode 1 in terms of tension. Did you know you can travel to Game of Thrones filming locations? Best recap of all! 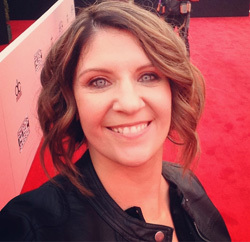 Can’t wait for your episode recaps!